What better way to prolong summer than can up some of its goodness? Knowing that my days of strolling the farmers market in shorts and a t-shirt are numbered I took extra care this week, taking in the smells and sights of nature’s bounty while figuring out what to bottle up for the cold months ahead. Having done minimal canning in my past I turned to the experts. 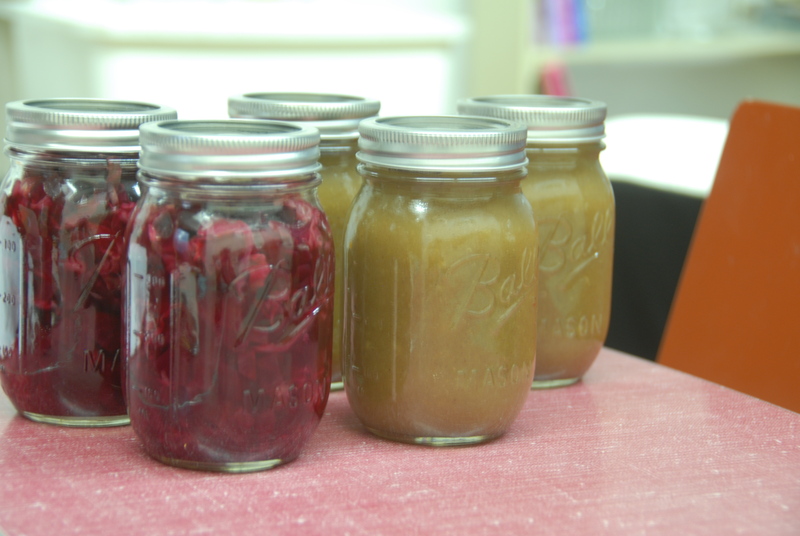 Assuming Hurricane Irene was going to have us couped up for days, cooking by candle light, I checked out Canning & Preserving with Ashley English from the library. Alas, the storm came and went while I was fast asleep – no candle sticks needed – but I did dive into the book post storm – for anyone interested in the topic this book covers it, soup to nuts. You’ll find these and many other recipes in her book. When canning, always begin with sterilized jars, lids, etc. 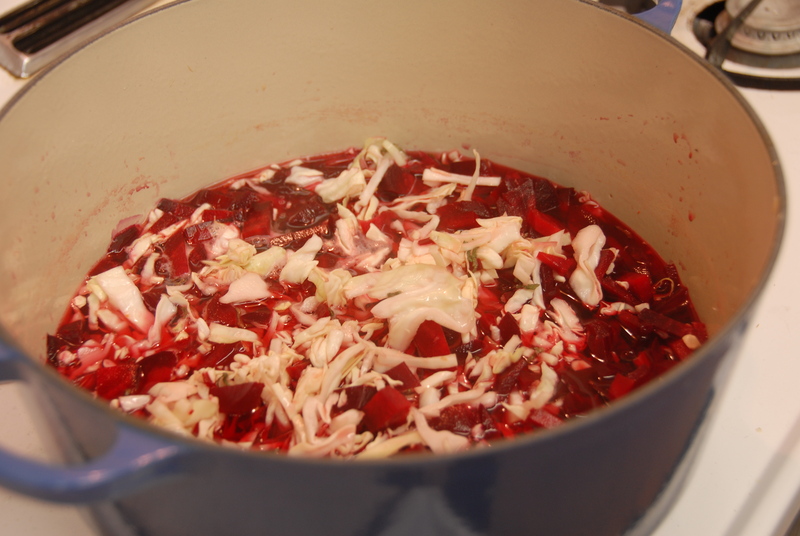 For the relish: fill a large pot with water and bring to a boil. 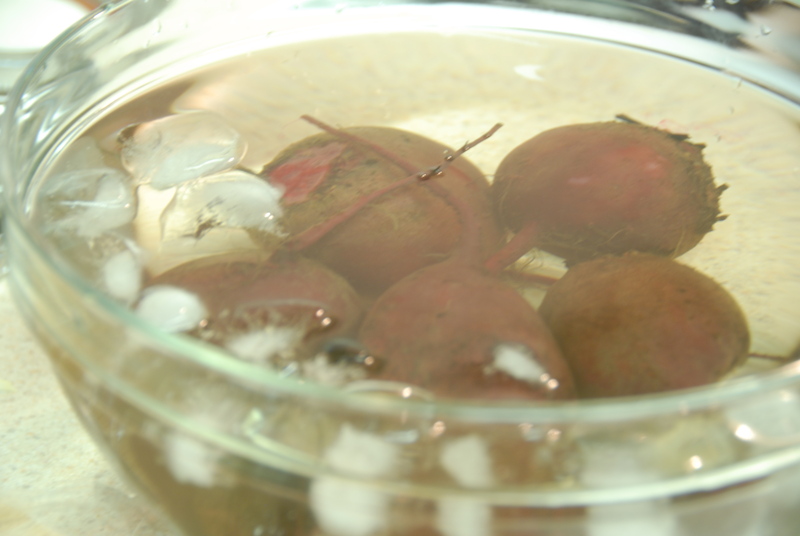 Blanch beets for about 20 minutes and then shock in ice water. 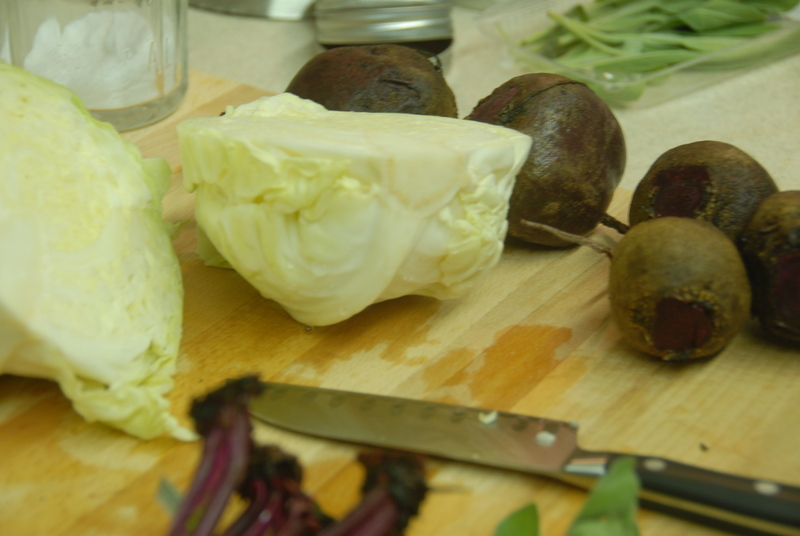 Peel and chop beets. 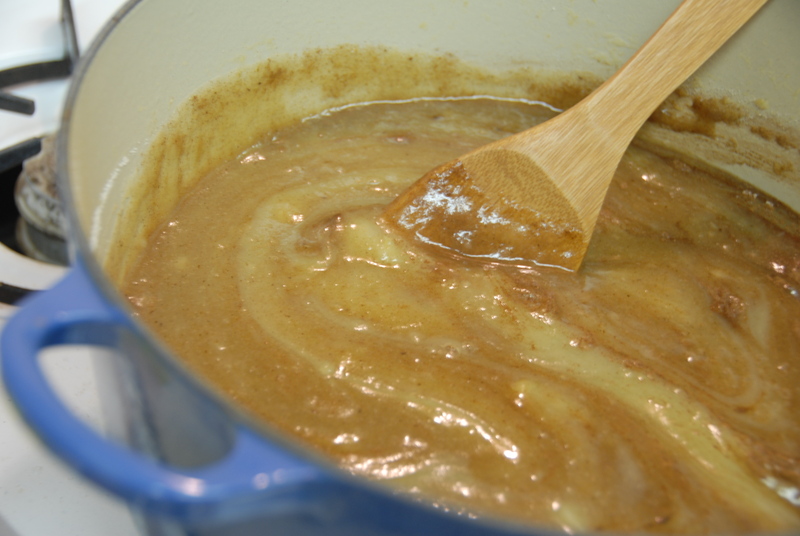 Combine all ingredients in a large pot and bring to a boil over medium heat. Reduce heat to low and simmer for 20 minutes or so. Carefully fill jars and place only the lids on. Let the canned relish cool at room temperature, when the cans have sealed (center button pops in) place the ring screws on. *Note: this recipe will give your home a lovely vinegar smell, I suggest cooking something else after to remedy that, like apple butter! Even though it’s still deliciously warm out and Labor Day hasn’t quite arrived this apple butter will make you yearn for crisp fall mornings. The smell of this velvety spread cooking on your stove will have you reaching for your woolly sweaters and freshly sharpened No. 2 pencils…seriously. I used Granny Smith apples in my recipe but other cooking apple varieties will work as well: Golden Delicious, Gravenstein, McIntosh, Newton, Pippin or Winesap. Peel, core and chop the apples. Place in a large pot, along with 2 cups of water. Simmer over medium-low heat for about 45 minutes. 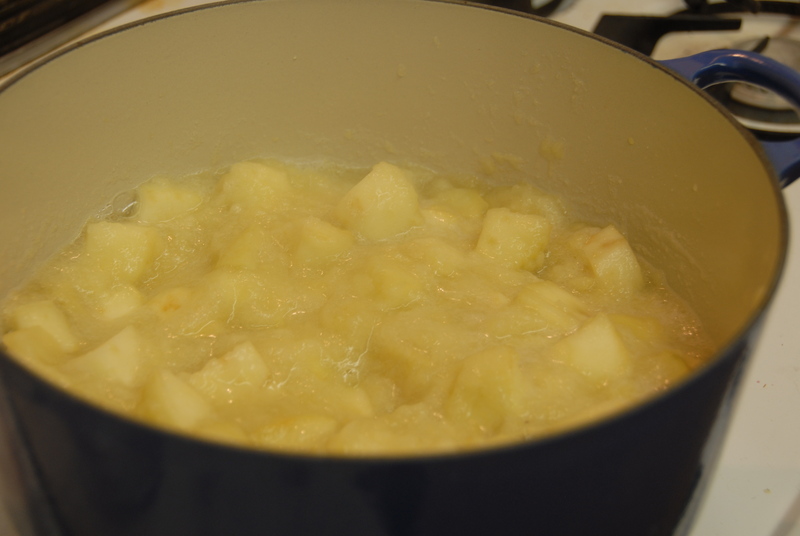 Take care to stir often so not to burn the apples. Add more water in 1/4 cup increments if needed. Remove from heat. Puree the mixture with a food processor or immersion blender til smooth. Return to pot and add sugar and spices. Stir well to incorporate. And that’s that. Relatively simple procedures but as Hillary mentioned, you’ve gotta have a few hours to dedicate to the cause. This entry was posted in Canning and tagged apple butter, beets, cabbage, canning, cinnamon, relish, sage. Bookmark the permalink.